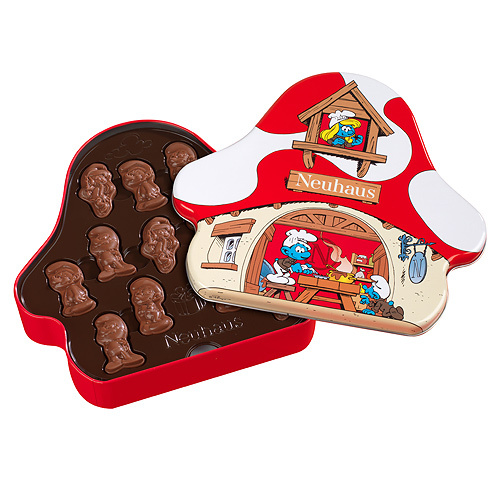 This Neuhaus Smurf Case with 24 crispy Smurf Pralines is filled with sparkling Belgian milk chocolate and cookies. Afterwards, the charming tin case can be used as a keepsake. 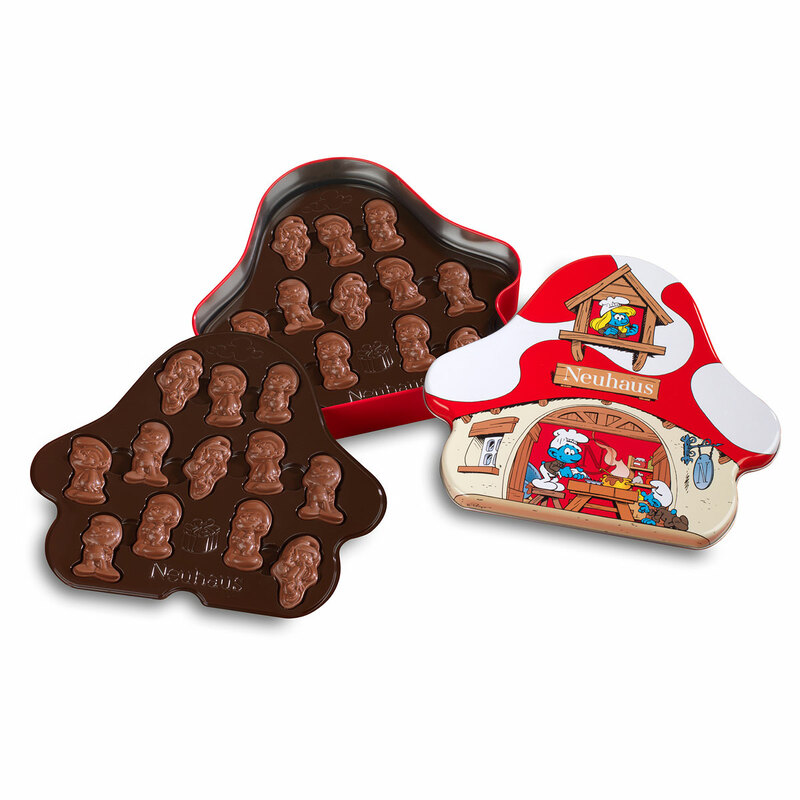 Young and old will enjoy these cute Smurf Pralines filled with sparkling milk chocolate and cookies!